With Valentine's Day (and Jonathan's birthday before that!) right around the corner, this year I thought I'd decorate a little for the holiday. 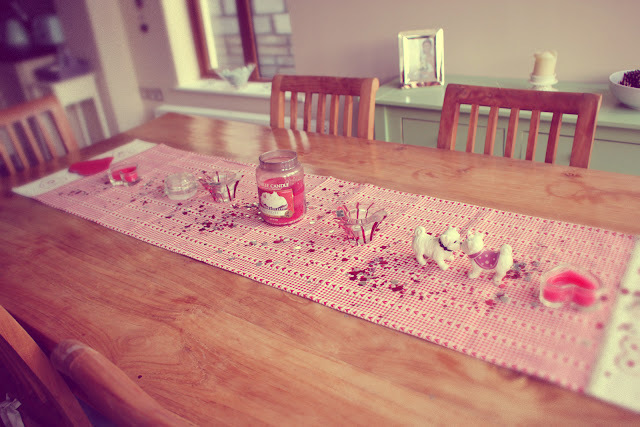 We already had this table runner from Christmas that my mom brought us back from Germany but as it's covered in hearts it does quite well as a Valentine's one too! 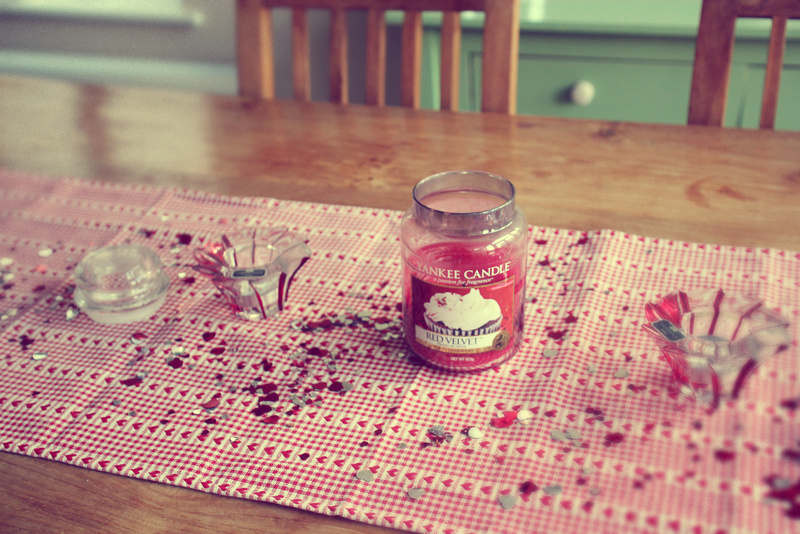 The red velvet Yankee Candle smells super delicious (also the flavour of our wedding cake!) and I bought it for half price in Home Store & More. The heart confetti, heart shaped candles and napkins are from Tesco. The kissing Maltese salt & pepper shakers were a gift from a lovely friend Rebecca and the red & glass tea-light holders were a wedding gift from Newbridge Glassware. 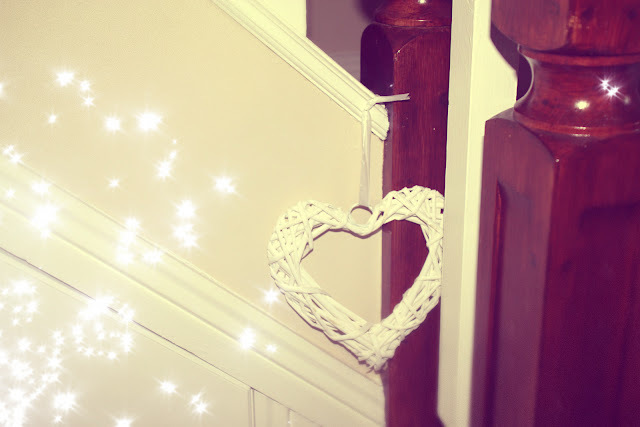 We also have a few heart shaped items in our hallway! 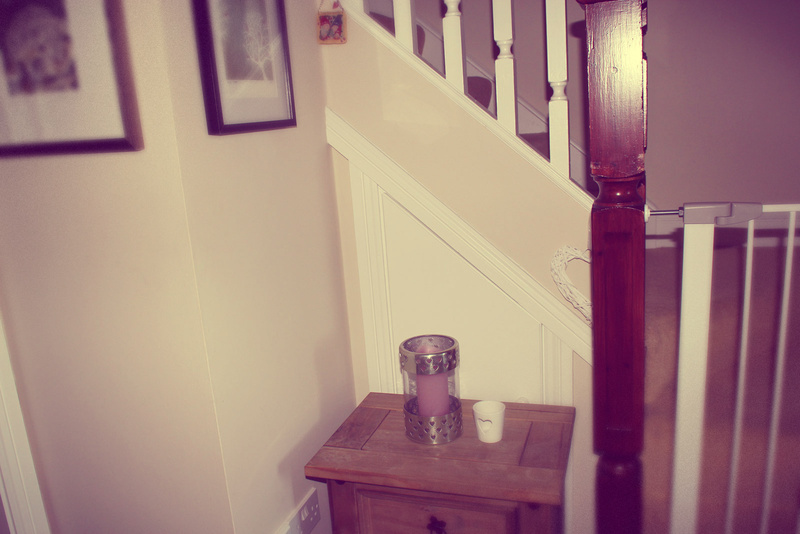 There's a little nook in the hall between the staircase and wall where the cupboard under the stairs is. Here's where I usually put seasonal decorative items...for example at Halloween and Christmas I had different things displayed like holiday tea-light holders and so on! The candle holder is a permanent piece, it was a wedding present from my grand uncle & aunt. 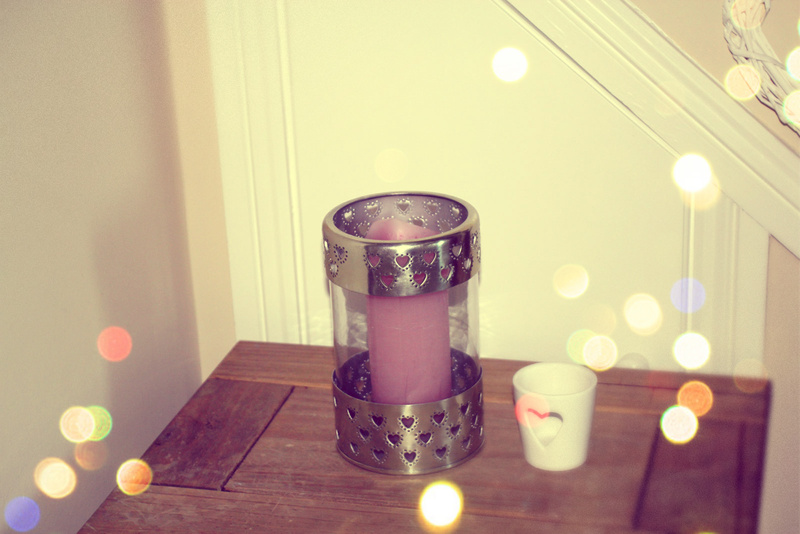 The little white tea-light holder is for Valentine's Day and I got it at Tesco. Along the staircase I hung these two little "valentines" - a white heart (again, from good ol' Tesco!) and a little hanging ornament which was a present from my best friend...I think she got it in Germany. 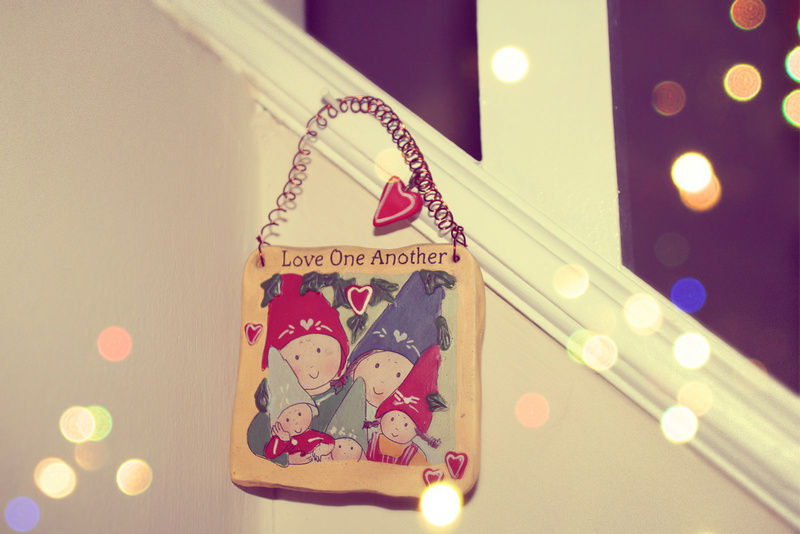 I also think this was originally meant to be a Christmas decoration but I've always preferred it for Valentine's Day! That's all I have for now! Do you decorate for Valentine's Day? I never had before but this was quite fun! 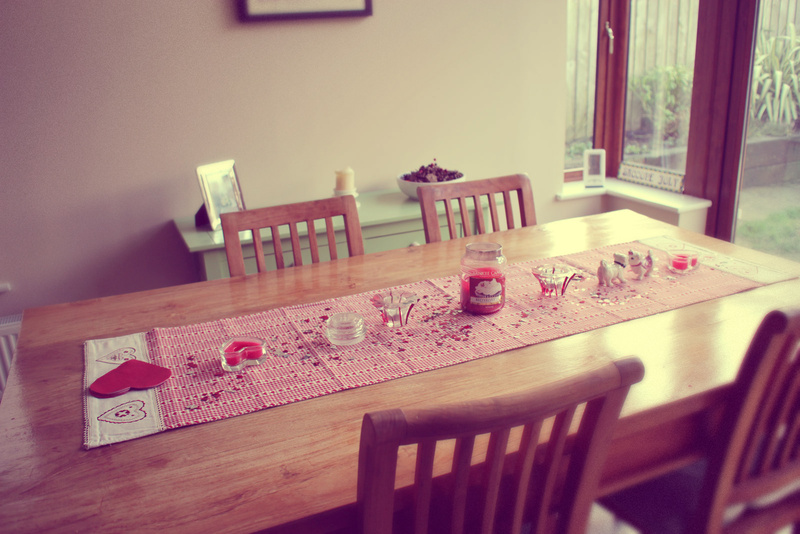 I've never decorated for valentines. 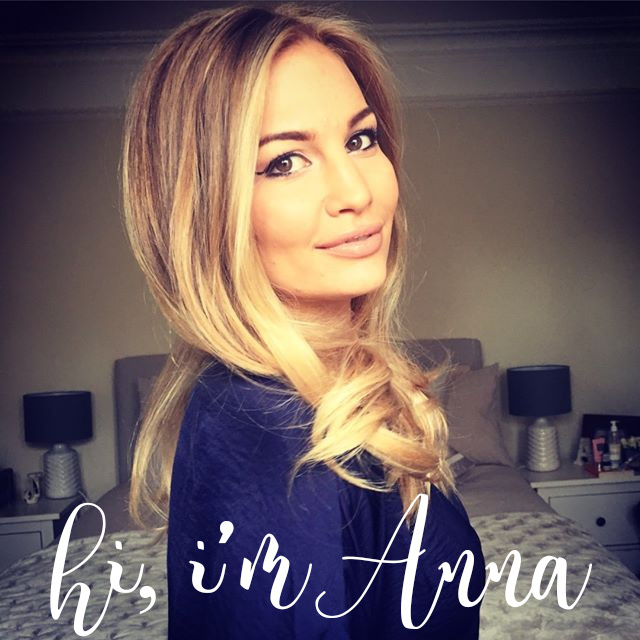 But I loved reading this post on your first time decorating for it. I love the little nook section you have for seasonal items!